Start your day with nutritious and delicious breakfast cereals. You can buy various kinds of cereals at very low prices from Sports Direct, Amazon, Argos, and other reputable UK retailers. Cereals are great breakfast food you can eat it practically any time of the day. You can save as much as 50% on selected cereal products when you use the latest cheap cereal UK discount codes. NESTLE CHEERIOS MULTIGRAIN Cereal 375g Box - HALF PRICE! All the best cereal bargain deals in the UK! Nutrition is an important aspect in our lives. Hence, the kind of food we eat plays a big role. For this reason, it is essential to plan our meal intakes throughout the day, especially our breakfast. As they say, always start your day with a nutritious meal. Cereals have always been on the menu of Brits’ home every morning. They are said to be a healthy solution, and are the best answer to a well-balanced diet. There are many leading health experts out there who claim that breakfast is the most crucial meal of the day. Thus, making cereals a part of it is just a good idea. Cereals are packed with vitamins, fibre, and other nutritional values that your body requires for the entire day. These energy-boosting food comes in different varieties, and choosing the right one for your family is essential in order to meet your body’s nutritional needs for the entire day. The truth is - the cereal aisle has always been stacked with numerous brands and endless flavours. They would have a mixture of both good and bad choices, of course. Select your cereal carefully, and. The last thing you would want is to go for those which are also high in sugar. How Can I Get Cheap Cereal Deals Online? Search for affordable cereal list from Tesco cereal, cereal offers at Morrisons, Sainsburys cereal or even cereal offers at Asda. 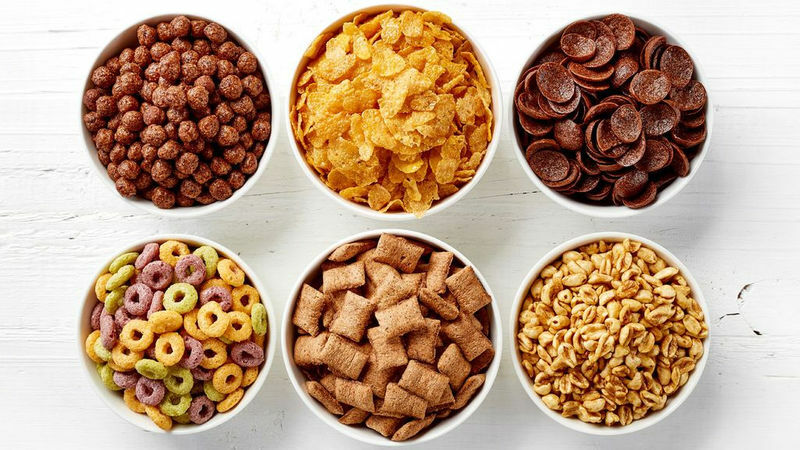 From Apple Jacks, Corn Flakes, Boo Berry, Cinnamon Toast Crunch and other types of cereal, we’ve got you all covered. We always provide the best deals on top selling cereals UK for you to get fantastic savings. It does not matter whether you want a breakfast cereal or a chocolate cereal UK, everything is just a search away. 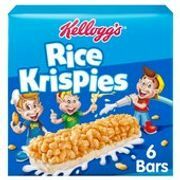 We have all the latest cereal sales, deals, special offers, price drops, reductions and freebies here at Latest Deals. Our community of bargain hunters are always posting and sharing the most exciting verified deals and offers for the top selling cereals UK. Plus our team of money-saving experts are always sharing essential tips and tricks on how you can save on your instore and online shopping. 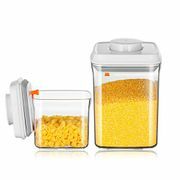 Most online UK retailers have clearance sale event where you can get special offers on a wide variety of cereals such as a pound per box or up to 50% off. You can maximise your savings by using the latest cereal voucher codes you can find here at Latest Deals. You can even get freebies and free shipping on your purchases. The deals we have here are available for a limited time only, so once you spot something you fancy, grab it right away before it expires. Also, do not forget to bookmark this page and never miss out on everyday low prices and fantastic money off from your favourite retailers. Whole Grain. As much as possible, look for a 100 percent whole-grain cereal which is normally found on the labelling. You can also read the ingredients list to be safe. From that, you will learn if it is a whole wheat or a whole-grain oat. Whole grains have always been the best source of fiber. Unprocessed Sugars. There are instances when a whole-grain cereal becomes unhealthy because it comes with a pack of added sugar. This can be a bit dangerous. If you see cereals with 0 grams of sugars per serving, that is going to help best. For instance, you want yours sweet, you can still achieve that but with fruits only. That may be effective anyway. Portions. As much as possible, stick to the suggested servings whenever you much a bowl of cereal. While it is true that eating twice may provide you more fibre and protein, you should also be aware that it may bump up the sodium, calories and sugars in your body. So always measure what you eat in order to make the nutrients you can get from cereals. How to choose healthy breakfast cereals! Look for tasty, whole-grain breakfast cereals that are low in sugar. Many are surely aware that cereals have amazing health benefits. They are the best source of proteins which can provide energy. They are also a reliable source of minerals which fights off cancer. Hence, they can also support healthy digestion and assist you in getting rid of constipation. Indeed, there are many reasons why you should make them a part of your diet. Provides Protein. Protein is known to be an integral part of the body because it is used for the repairing and building of muscles. Aside from this, they are also utilised for the creation of body chemicals including enzymes and hormones. Basically, the amount of protein you see in cereals is not the same. They vary from one another. Hence, remember that you should have proteins for your cartilage, muscles, skin blood and bones. Thus, it is the best idea to consume cereals so that you can keep your daily intake of proteins sufficient. Gives Energy. Cereals can always give energy because they provide a maximum of 30% calories in your whole diet; which is why they are the highest consumed caloric food all over the world. Of course, the percentages of it may vary from one country to another. Regardless, the reality that it functions very much the same will not change. One of the main reasons behind this popularity is that cereals are always the affordable origin of nutrients, as compared to others. Prevents Cancer. Since cereals are packed with plant-based steroids that can stimulate estrogen, they have the ability to stop cancer. Moreover, they contain phytosterols that are needed in blocking estrogen which promotes the production of cancer most especially in the breast. There are many studies which suggest that cereals have the ability to prevent colon cancer as well because they are rich in fibre. Thus, the phytosterols can lessen the time absorbing the estrogen in the blood through the colon as it increases the movement of the stool. Houses Minerals. Different cereals mean myriad nutrition content, hence, you can expect a fitting amount from cereals. Most of their minerals are rich in phosphates and sulfates of potassium, calcium and magnesium. They also have copper, zinc and manganese which are crucial for the healthy of your whole body and system. Normalizes Blood Sugar Level. Because cereals are rich in fibre, they are dependable in regulating your blood sugar levels for they may decrease the amount of your HbA1c. The latter is the glycated hemoglobin which is the reason for the increasing the risk of diabetes for most people.